1. How does this documentary Finding Vivian Maier and her work relate and embrace the concept of time? Vivian Maiers work relates to time because in her work there are so many different pictures of people all over the city of New York. There are pictures of kids, teens, middle aged people, and elders. All of her work is relevant to time because she captures movements and age in the people she photographs. 2. 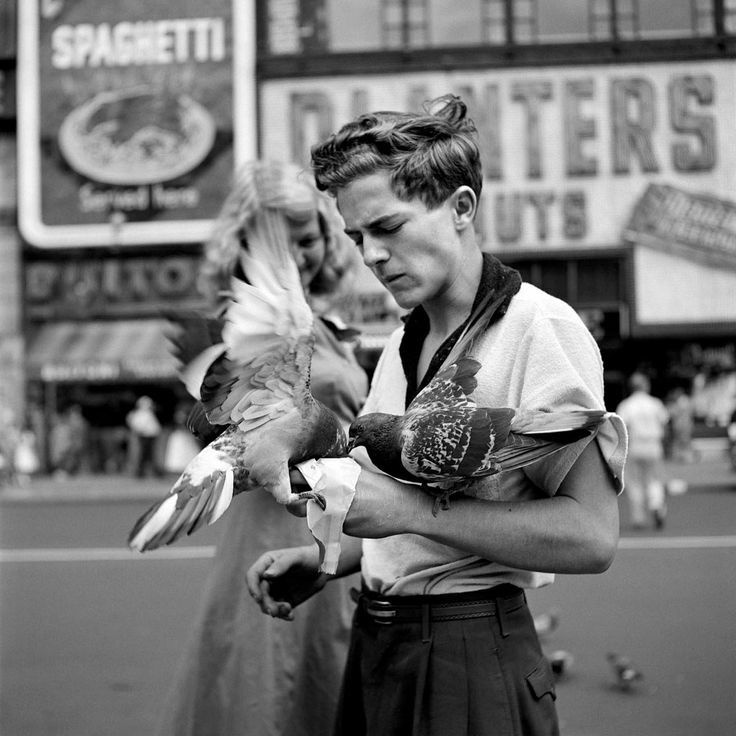 How does Vivian Maier works exemplify the city/NYC to you? Maiers work exemplifies New York in so many extreme ways, firstly in a lot of her photographs you can see the city and buildings in the back. All her pictures are portraits of people in everyday life, how they act, pose, look, even their expressions around the city. She shows you how people in New York dress, act, and most importantly how they feel. The little boy on the bike crying, the little girl frowning, the boy looking through the mirror, the homeless man holding food and much more. 3. How do you respond to her work? Vivian Maiers work is very powerful and sends a strong, emotional feeling. When you look at her work you feel something, the emotions the people in the picture are feeling. All her work is unnoticeable, most people don’t even realize she’s photographing them which makes what she captures more impactful, instead of people modeling and posing.